On March 27, 2018, Veterans Affairs Canada (VAC) quietly cancelled a project underway with the Canadian General Standards Board (CGSB) to develop a national standard for service dogs. 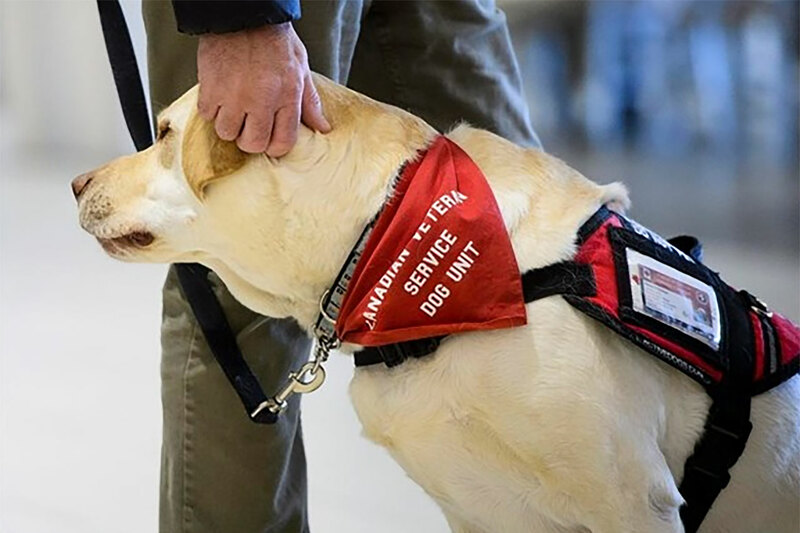 The establishment of a national standard is correctly seen as pivotal to ensuring the appropriate, safe and effective use of psychiatric service dogs as therapeutic support to veterans suffering from operational stress injuries including PTSD. A national standard will require that dogs being offered to veterans as psychiatric service dogs have the appropriate training and temperament to support a Veteran. A national standard will help increase public access of service dogs into commercial venues, by giving business owners confidence that the service dogs will behave appropriately and will not present a risk to other customers. Absence of a standard puts Veterans and the public at risk of animals that are not appropriately trained, and exposing Veterans to the potential exploitation by unqualified or unscrupulous service dog vendors who are more focused on cashing in on a lucrative business opportunity through the sale of expensive canines. In their website, VAC has said that they will “be moving forward with a standard specifically for psychiatric service dogs”. We are skeptical of their capacity to accomplish this. President Steve Walker has written to Minister O’Reagan (VAC) and Minister Qualtrough (Public Services and Procurement) asking that they urgently reinstate the project and proceed with the development and introduction of a national standard.